You might be aware how successful the Skype app is. Now you will be surprised to know that some of the Ex-Skypers have brought a new WIRE App as an innovative communication tool. Janus Friis is one of the highly-proficient Men behind Skype. This app is now owned by well-known Microsoft software giant. The Danish entrepreneur brought a new platform for iOS, Android, and Mac OS X called Wire. You can Wire app for personal or group messaging, making voice calls, or sharing photos, listening to music, and sharing video, all of your conversations will be synced across all of the devices connected to interact. These devices can be iPhone 6 or the latest Android gadgets. 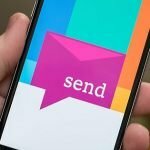 Jonathan Christensen, co-founder and the CEO of Wire asked in an interview how modern can communication becomes and how fast we can exchange our text to get a quick response. He further added how anyone can take full advantage of cloud computing in order to get something in the simpler ways. Wire app combines chat features that were used traditionally like exchanging text, voice or video messages like your photos or music files. This app comes integrated with the in-house audio quality so the clear and crisp sound. This app supports calling with WebRTC-compatible browsers. “Skype is now around a decade old and is entering the heart of millions. A lot of changes have been done in this app since the time it was launched. Developers started with free calls and messages but now we can see people carrying their computers in pockets. It is high time now people should think of creating something new and unique to grab the market and stay for a long-time. The Wire is one such app designed with the motive of leading the market of social networking apps. This company employed some of the former product and technology makers of Apple, Nokia, Skype, and Microsoft. The Wire was launched by Christensen before he led Microsoft and Skype, and when he was serving as the CEO of Camino Networks. Koen Vos, Chief scientist who helped in creating the audio codecs of SILK and Opus.